Today we have 5 Questions with a mainstay in the international track circuit, whose career has spanned from being a World Junior Cross Country Champion in 2005 to a Silver Medalist at the World Indoor Championships at 3000 meters earlier this year in Istanbul, Turkey. 1. Writing About Running: First off, welcome to the United States. How far back does your relationship with Bernard Lagat go and how is Tucson so far? 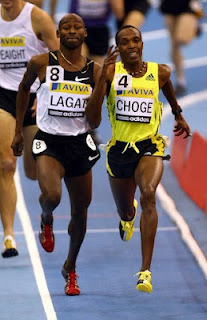 Augustine Choge: Thanks for everything. My relationship with (Bernard) Lagat goes back to the year 2004, when I first met him when I joined the management of James Templeton and am humbled to say that he has been more than a friend. He is like my parent, brother, teacher and moreover, a mentor. He and his family have been supportive, both in track and outside the track, and I am very happy to have met them. Tucson is great so far. Kip has introduced me to some of his friends and I am pleased to tell you that everyone here has a good heart. They are very supportive and welcoming and I am very happy with the hospitality here. The city is a wonderful place. People everywhere are friendly and the service you get is the top of the standard. 2. Writing About Running: You had a strong start to the Diamond League season with a 7:30.42 win in the 3000. Have you changed your training much for the Olympic year? Augustine Choge: Well, in training here, there is not much that we will change and (actually) won't change anything. The main goal now is to make the national team for Kenya, then from there we plan (with my coach Brother Colm) on the next step. I believe so far everything is on the right track. 3. 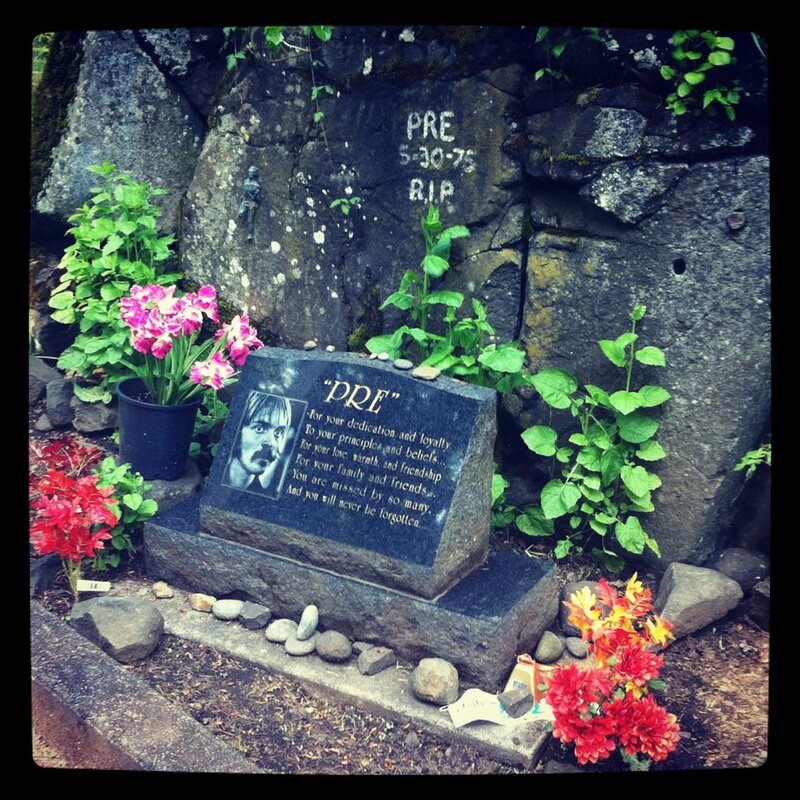 Writing About Running: With the Kenyan Olympic Trials a month away (June 21-23), what do you have planned after Prefontaine this weekend? Augustine Choge: After Pre, the main goal is to set up the mind and focus all the energy for the Kenyan Trials, though I will run the Adidas Grand Prix in New York City. 4. Writing About Running: You have competed at the World Class level for the past 10 years. What has allowed you to maintain your fitness and be competitive for so long? Augustine Choge: Well, maintaining the world class level is all about the mental attitude and discipline and moreover, being with the right people with positive mind. Bernard, for example, has been our mentor in our group and through him, we learn a lot. That is why I have always tried to be as close to him as possible. My coach is one of the best coaches in the world and he has contributed a lot for my success. Much credit goes to him. He always teaches on the mental attitude, apart from the physical training and I think this has positively contributed more in my success. 5. 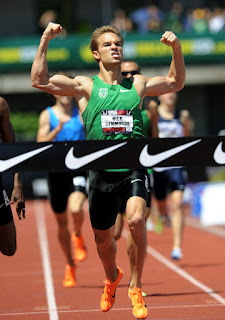 Writing About Running: The Prefontaine Classic is the biggest and best meet in America. Are you excited to be racing at Hayward Field in Track Town USA? Augustine Choge: Running in the Pre Classic is one of the dreams most high class athletes dream of, because of its history and America is one of the nations which almost everyone in other parts of the world dreams of visiting, because of its reputation and history. It is my dream to do well and hope to visit here as much as possible, even to come here to (just) train for couples of months. What was originally staged as the "Hayward Field Restoration Race" in 1975, the Prefontaine Classic, now in it's 38th year, continues to live on as the premier track and field event in America. I was lucky enough to attend last year (and kept a journal my time in Eugene) and couldn't pass up the return trip to Eugene (via Portland) for the 2012 edition. If you're a track fan, this is something you need to see in person. The distance action heats up Friday night with "Hollister Night at Hayward." The event is free to attend and will be webcast starting at 7:25pm Pacific (10:25pm Eastern) at PreClassic.com. The Women's 800 kicks things off at 7:30pm with Molly Beckwith, Heather Kampf, Gena Gall, LaTavia Thomas, Alysia Montano and Maggie Vessey leading the way. This is the race that put Vessey on the map. Her win in 2009 out of nowhere paved the way to where she is now. Expect her to challenge for the win. This will also be an excellent chance to see where Montano's fitness is, as we haven't seen much out of her this year (yet). The Men's International Mile is up next, at 7:37pm, with a stellar field of Americans, including Russell Brown, Matt Centrowitz, Will Leer, Jeff See, Dorian Ulrey and American Record Holder, Alan Webb (who set the American High School Record in 2001 here). Alfred Kirwa Yego, Nicholas Kemboi and Mohammed Shaween lead the foreign contingent. This event has become a new standard at Pre and expect the winner to be close to 3:50. The Women's 1500 goes off at 7:46 with another excellent American field of Gabrielle Anderson, Katie Mackey, Lauren Johnson, Brenda Martinez, Treniere Moser, Anna Pierce, Shannon Rowbury, Jenny Simpson and Phoebe Wright. Sheila Reid, Jemma Simpson and Tizita Bogale will lead the foreign contingent. Simpson will try to regain the form that found her running 3:59.90 here in 2010, as much of the rest of the field will take aim at the Olympic A Standard of 4:06.00. 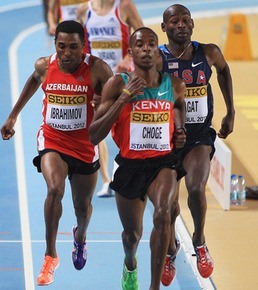 Closing out the night is the ballyhooed Kenyan Olympic Trials in the 10,000. Athletics Kenya decided to stage it here due to the similarity in elevation to London and it should be quite a run. The top two will qualify, with the last choice going to the committee. 10 of the Men entered have run under 27 minutes and I would expect this race to be won in the 26:45 range. Micah Kogo and Eliud Kipchoge seem to be the favorites, but it's Kenya. There are new stars emerging yearly. Expect the unexpected. 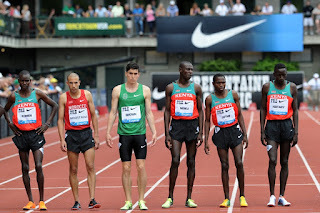 I'll be pulling for "36 year old" Mark Kiptoo. The 38th Annual Prefontaine Classic goes off Saturday, as usual, with excellent sprints, distance and field events. It will be broadcast at noon Pacific (3pm Eastern) on NBC. The Women's Steeplechase kicks off the distance events at 11:46am with Emma Coburn, Bridget Franek and Sara Hall lining up against the best in the world. Milcah Chemos looks to be the ace of the field. Coburn and Franek went 1-2 last year at USA Outdoors and look to be the favorites to make the team once again. Hall has yet to show the form that she showed towards the end of the 2011 season. This will be her chance to show whether or not she's a threat to make the team. The Women's 3000 goes off at 12:11pm with Jackie Areson, Angela Bizzarri, Brie Felnagle, Sally Kipyego, Molly Huddle, Lisa Uhl and Amy Hastings duking it out. Talk about an American distance fans dream race. This one should be a lot of fun. The Men's 800 is next at 12:24pm with Nick Symmonds taking on the world's best (sans David Rudisha). Yuriy Borzakovskiy, Abubaker Kaki, Adam Kszczot, Mohammed Aman and Boaz Lalang will make it a tough one. Add Americans Khadevis Robinson and Tyler Mulder to the mix and you've got a very strong 800. Matt Scherer will lead them around. The Men's 5000 is at 12:50pm with Matt Tegenkamp and Galen Rupp taking on an incredible field of Mo Farah, Kenenisa Bekele, Craig Mottram, Collis Birmingham, Isiah Koech, Sam Chelanga, Yenew Alamirew and Augustine Choge. Will Rupp go under 13:00 finally? and on American soil? He's gonna have to if he wants to compete in this field! Closing out the classic will be the Bowerman Mile at 1:19pm. The American contingent will be comprised of Andrew Wheating, Leo Manzano, Lopez Lomong, David Torrence and Bernard Lagat. Silas Kiplagat, Asbel Kiprop Amine Laalou and Nick Willis will lead the world challengers. Kiprop's been tough here, but Kiplagat recently got the better of him in Doha. Expect a scorcher! All in all, an event that Pre would be proud of! I'll be tweeting and running around all over Eugene from Thursday night on... with stops at Track Town Pizza, Ninkasi Brewing, Pre's Trail, Rogue Public House, Morning Glory and of course, Hayward Field! 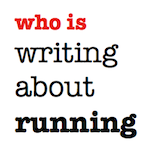 We're lucky to have a new columnist at writing about running. Win Bassett serves as Executive Director of the North Carolina Brewers Guild and leads Social Media & Beer Education for All About Beer Magazine, in addition to writing for the magazine online and in print. He is also co-founder of ncbrewing.org. He's also a heck of a runner. He'll be leading the "Single-Tracks and Hop Backs" column here at writing about running, where he'll focus on trail running, beer, the vegan lifestyle and whatever else fits. Welcome to the party Win! Named one of Blue Ridge Outdoors' top trail races in the South and quickly gaining the cult status of its bigger brother, the Shut-In Ridge Run, the Rock 2 Rock Trail Run outside Asheville, NC, in Swannanoa is not just any off-road 10k. "You will not be able to run the entire course," writes organizers, and "[a] good estimate is to add about 60% on to your usual 10k time." This sounded accurate for the 2000 feet of ascent in the first 3 miles and 2000 feet of descent in the next 3 miles. I decided to throw my hat in the ring after running some single-track in the area with Brian Simpson of Riverbend Malt House in Asheville. Brian has finished multiple Rock 2 Rocks and Shut-Ins, and he took me for an eye-, heart-, and mind-opening run from Bent Creek River Park just past the Arboretum in mid-April. No pavement, no car exhaust, no traffic lights. It was the closest that I've felt to the ground that I was covering. Since then, I've been working out almost exclusively on single-track in Umstead State Park, with a few runs on the Mountains-to-Sea Trail from Falls Lake Dam in Raleigh, Little River Regional Park in Orange County, and Carolina North Forest in Chapel Hill. I've never felt stronger, and I've never been more happy running, despite the humbling splits I was putting down compared to my road times. That's why I couldn't wait for Rock 2 Rock to gauge my progress and potential as one of those guys that runs around mountains. The race started at 5:00 p.m. on Friday, May 25, 2012, which throws another kink in the chain in my type-A personality world regarding the timing of my last pre-race workout and what I would eat. I did 7 miles on Company Mill Thursday morning and ate normally throughout the day. 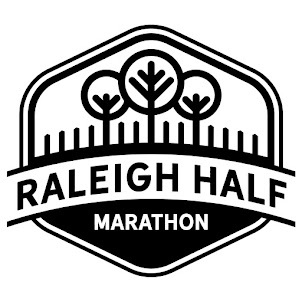 After checking in to pick up my bib and visor, which is a welcome change because everyone has more than enough race shirts, I warmed up for about a mile with Brian and Duncan Hoge from Bull City Track Club in Durham, who placed second in the race last year. I took a Raspberry Hammer Gel 15 minutes before the race and lined up about two rows back. The race started on a grass field adjacent to a lake at the gorgeous Camp Rockmont. I was careful not to go out too fast, and it helped that my legs were still asleep. After a few hundred yards, the course took a turn onto a crushed-gravel fire road with some elevation, but the real uphill battle started about a quarter of a mile farther after a hairpin left onto some dirt double-track. Fortunately, as soon as I hit the double-track, my legs came to life, and I passed about 8 people on the way to the rocky single-track portion of the race. This section was also the walking section of the race. Despite putting down a respectable time running up Grandfather Mountain in The Bear last year, I never walked it, but I later learned I could have saved some running economy. I didn't make that mistake in Rock 2 Rock. I put my hands on my knees (and even the ground at some points due to the steepness) to get up that mountain and passed another 4 to 6 runners. My mile-3 split was 21:37, and I was not ashamed. I thought I was at the top after climbing the face of a rather large rock with a photographer on it due to pictures I had seen on the Rock 2 Rock website, but I was wrong. The trail went downhill for about a hundred yards and then started to climb again at a steepness just as before. After passing one more person, I finally reached Eden Rock, the high point, at roughly 3.5 miles into the race. This was the single water station, but I passed without pausing. The volunteers noted, however, that they had left the cups out the night before, and a few bears seemed to have appreciated the gesture. No sooner than tackling the face of the rock did the course immediately take a turn downhill into some extremely tight, technical single-track. And when I say downhill, I mean downhill. Perhaps the most damage to my body during the course of the race was to my hands from hanging and swinging on trees on my way down in an effort from rolling down the side of a mountain. The second half of the race was a lovely break for my lungs, but now was the time for my legs to hold up and really come through. Gravity almost works against my light frame. I can float uphills but often lose time on the downhills. I let go with all abandon, however, and did everything I could to stay upright. After Eden Rock, I never saw or heard another soul, so I didn't have a rabbit to chase down or to push me. After the steep, downhill single-track under the canopy let up, a cobblestone and mountain bike jump-ridden double-track took over, which presented another set of challenges. Don't roll my ankle on the big rocks and don't buckle my legs after jumping off the ramps that were just large enough not hit in stride. Eventually, the double-track opened back into the crushed-gravel fire road on the other side of the camp, and the race finished about half of a mile later after a hairpin turn at the starting lake. I crossed the line at 51:49, and I knew a few folks had crossed the line before me, but I wasn't sure how many. Scott Williams, a local runner and fellow beer lover known to tear up the trails and roads around western North Carolina, mentioned that he thought I was fifth as he cheered others on at the finish. After scarfing down a banana and rehydrating, I stuck around for the awards with Duncan and received a sweet Rock 2 Rock pint glass for taking 3rd in the 20-29 age group. I ended up 5th overall. Tough age group, huh? Duncan ended up 2nd in 20-29 and 3rd overall, and Brian finished at a solid 22nd overall. Roger Price, the father of Writing About Running's founder, finished in 1:19 for 62nd. 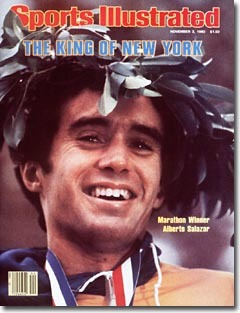 It was a pleasure to meet him, and I hope I'm still running that strong at 59! Local mountain running star Shiloh Mielke (has run for Inov-8, Vasque, US Mountain Running Team, etc.) took the overall win despite not being the first to the top. That honor went to other local speedster Matt Morse. See the Rock2Rock website for full results. The western North Carolina race experience would not be complete, however, without a post-race visit to a local brewery. This is in the area of BeerCity, USA, after all, so Brian and I drove the two miles from the race finish to Pisgah Brewing Company in Black Mountain. Known for its line of all-organic brews, Pisgah has been fueling trail runners in the area with its flagship Pisgah Pale Ale since 2005. 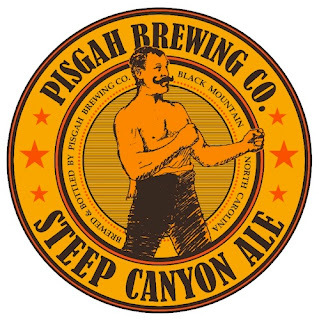 Brian and I grabbed pints of Pisgah's newest brew, Steep Canyon Ale, an extra pale ale brewed exclusively to celebrate the Steep Canyon Rangers. It was wonderful to see that some of the top Rock 2 Rock finishers had the same idea. Some stayed for pints, and some, like 6th place finisher Paul Scouten, simply stopped by to pick up a growler of local beer for the Memorial Day weekend. 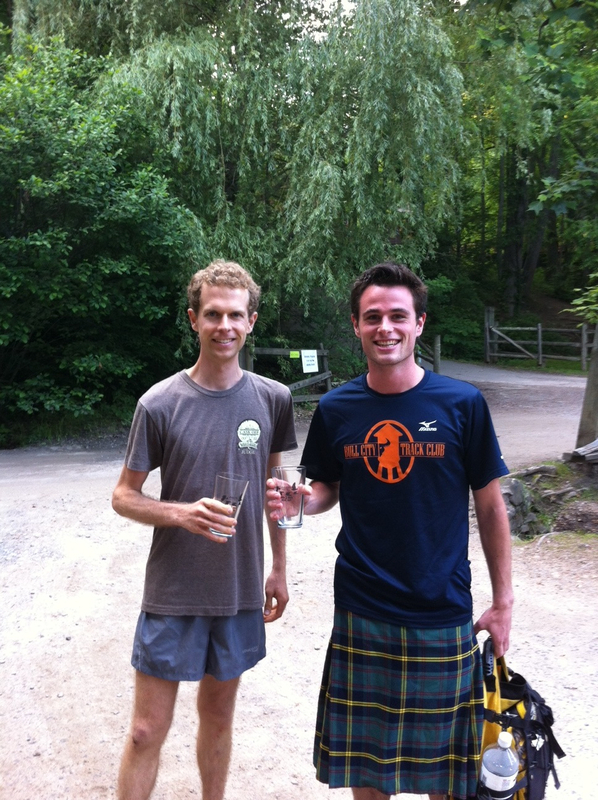 Local running, local beer, and local community. It doesn't get much better than that. *Special thanks for Rock 2 Rock sponsors Black Dome Mountain Sports, Jus’ Running, Ultimate Direction and Camp Rockmont. **Finally, looking for a place to stay while running in Black Mountain, NC and enjoying Pisgah Brewing Company? Check out the runner-friendly Stone Circle Cottage. 1. 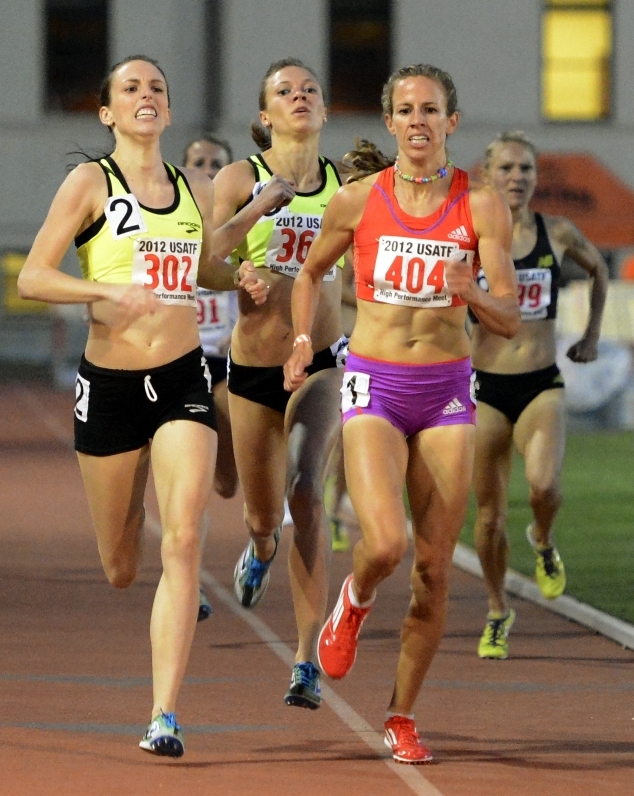 Writing About Running: First off, congrats on your recent win at the Oxy 1500. You have to be happy to compete like that in a field that strong. Have you been working hard on your kick? Gabriele Anderson: Thank you! It was a good way to start the season! Going into Oxy, I knew my training was going well, but it was my first 1500m this season, so I wasn't entirely sure what to expect. I just wanted to be competitive and take a shot at the Olympic "A" standard, if the race went that fast. After our 800 meter split, I figured the "A" standard was probably a long shot, so from there it was just about racing and finishing strong! 2. 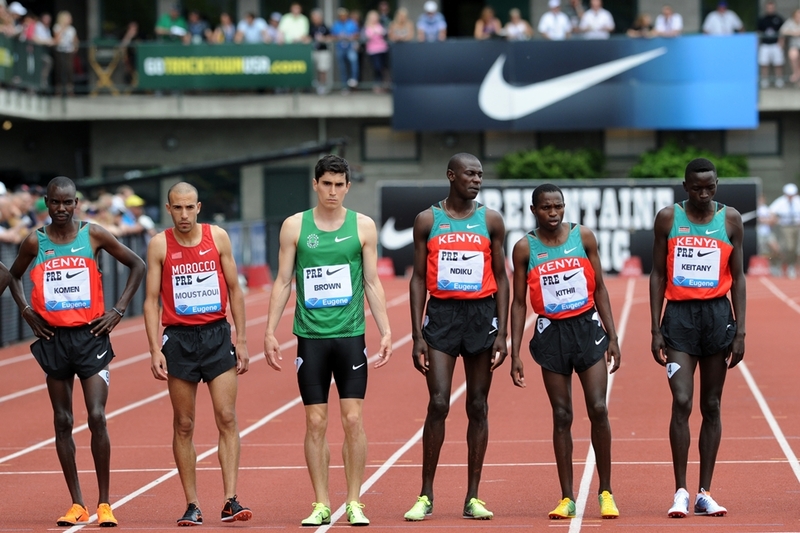 Writing About Running: Next up, you'll face another excellent field at the Pre Classic 1500. How exciting is it to compete in a meet of this stature, against the world's best? Gabriele Anderson: I'm so excited to race at Pre! It will be my first time competing at this meet, and I always enjoy the atmosphere of running at Hayward Field. It's special, I think. The 1500 will feature many of the top American women and I'm looking forward to testing myself again against a strong field. I think it will be a fast race and we'll probably see few more American women achieve the Olympic "A" standard there -- I'm hoping to be one of them! 3. Writing About Running: You mentioned in your post-race interview with Flotrack that the Adidas Grand Prix is a possibility. Do you and your coach have any other plans before the trials? Gabriele Anderson: I'm still not sure if I will race in New York. Right now my coach and I are taking things one race at a time and still focusing on getting in good training, so I'm not sure how many more times I will race before the trials. If the right opportunity comes up, I'd like to race an 800m before the trials to keep working on my speed! 4. Writing About Running: You seem to have a great relationship with your fellow Brooks team members. How important is it to have a good support system in this sport? Gabriele Anderson: It's very important! And you are right, there is a special bond between us "Brooks Beasts"! We were fortunate to be able to get to know one another off the track right after we all finished our NCAA careers as we embarked on new journeys as professionals. Since we were all experiencing similar transitions, including both the excitement and anxiety that comes with it, we immediately hit it off as friends! We have enjoyed representing Brooks together and reuniting on the track circuit whenever we can. It's been great to watch each other progress and support each other along the way. 5. Writing About Running: You have become a poster child of sorts for many young athletes battling cancer. How much has your continued positive attitude that has carried you through two bouts affected the way you look at your running career? Gabriele Anderson: Honestly, I've just been doing my best over these last few years to keep my head up and to not give up on my dreams. I'm not sure that I'm a poster child, but I do believe that young people facing similar situations can find some hope in my story. I hope that they don't give up on their dreams; I hope they keep smiling and loving life! I think that running and racing as a cancer survivor has helped me to put the sport in perspective, which is really important, especially at this level. Life is all about doing your best and really appreciating the little things, and I think I'm able to do that much more now in my running career. 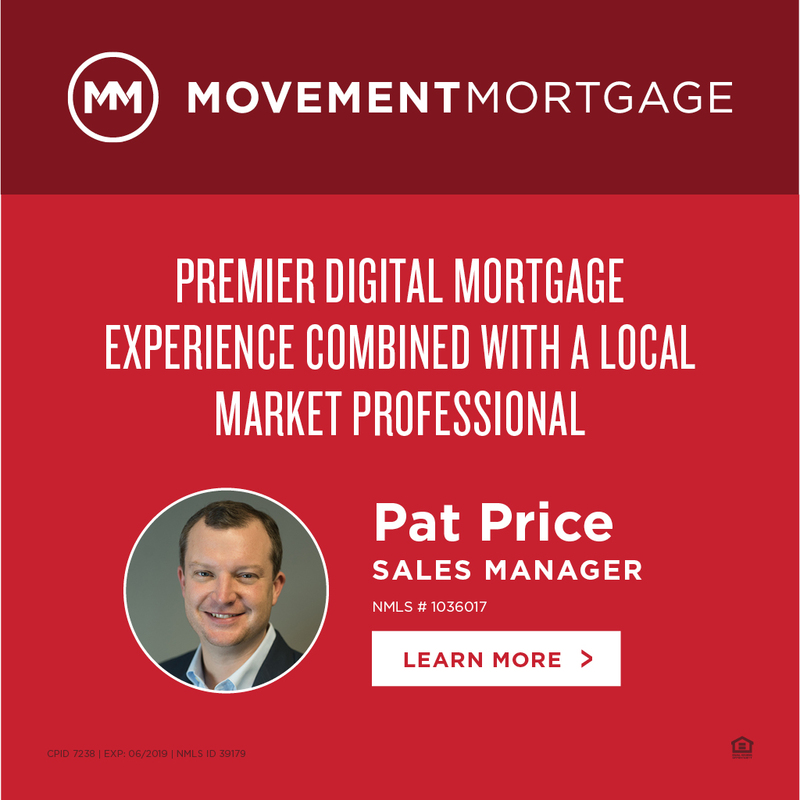 Instead of putting pressure on myself, I try to look at the journey as a great gift -- and the outcomes are much less important to me than the journey itself. 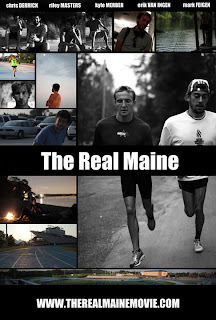 Erik van Ingen's new film, "The Real Maine" debuts tonight (Monday, May 21, 2012) at 6pm Eastern at TheRealMaineMovie.com I was lucky enough to see the film in advance and I can guarantee that if you're a fan of distance running, you'll love the concept, the personalities and the delivery. You'll walk away from your computer wanting more. Hopefully van Ingen will release some more outtakes, as it's fun getting to know the guys. It's been an exciting year for the cast of characters. 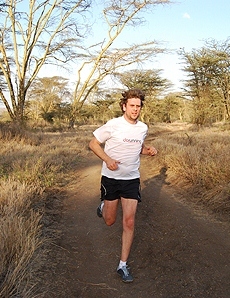 Chris Derrick hit the Olympic A Standard in the 5000 and 10,000. Erik van Ingen, Kyle Merber and Riley Masters hit the Olympic Trials A Standard in the 1500. Mark Feigen also PR'd in the 1500 this week, and will be running in the NCAA East Regional this weekend (with Merber and van Ingen. Derrick and Masters will be running in the NCAA West Regional). Get to know them better tonight and check the links below for a little more background on the film. Check out the excellent 10 Questions with that Flotrack did to give you an overview of the characters. If you had the opportunity to take 6 months off of work to be able to head to Iten, Kenya to train and learn about the workings of the Kenyan runners, would you? Most of us would jump at it, and this is precisely what author Adharanand Finn did. 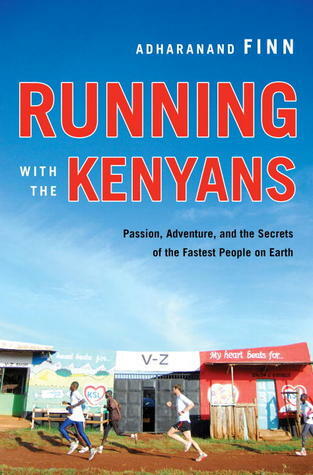 Luckily, he documented this travels and learnings in his new book, "Running with the Kenyans." Finn is an assistant production editor for the British national daily newspaper, The Guardian and was given this special opportunity; one he took full advantage of and delivered an excellent read for fans of distance running worldwide. 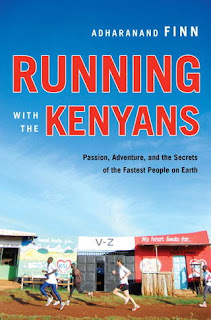 Finn's book is filled in fact that while very fascinating, is also is filled with unearthed and often times, sad truths that tell of the not so wonderful tale of the magical Kenyans. Finn finds a friend in Toby Tanser (of the excellent book, "More Fire: How to Run the Kenyan Way") who quickly answers the question of why do Kenyan children run to school. "Are they hoping to become athletes?" asks Finn. "No, they're running because if they're late, they get caned." He also digs into the "age old" question of why many Kenyans official ages are less than their real age. "Each person has a different story, although it usually involves someone else, such as a manager, getting the date wrong at some point." That's one thing that is very evident. The managers are the ones in control of the Kenyan runners, as they operate the running camps, that are essentially tryouts to earn chances to compete internationally. Some run in the camps for years and never make more than a few hundred dollars, relying on the kindness and hospitality of family to help them along. The most rewarding thing about Finn's 6 month journey to Kenya is his personal journey from 38 minute 10k runner to a very competent "mzungu (foreigner)," who is given incredible access to the who's who of the then and now of the storied Kenyan running scene. The people he met and ran with will any distance running fan's mind. 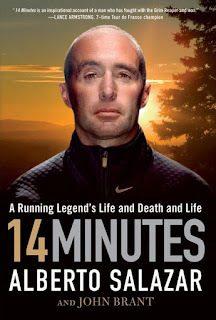 Read the blog that Finn kept while writing the book here (and then here) and be sure to follow him on Twitter @adharanand Finally, be sure to listen to his interview on the House of Run podcast. Today we have 5 Questions with the fastest freshman in the 1500 meters so far this year. He'll be ramping up for the Big Ten Outdoor Championships next weekend, before preparing for the NCAA Regionals (and Nationals) with the Wisconsin Badgers. Austin Mudd has one of those kicks that you know is coming, but there's not much you can do to take the sting out of it. 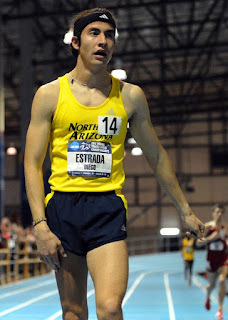 He burst onto the scene last year, running 4:01.83 at the Adidas Dream Mile. 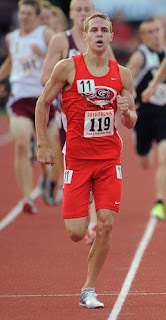 Most recently, he ran the 8th best 800 in Wisconsin school history with a 1:47.68 at the Mt. Sac Relays. His 3:40.87 in the 1500 at the Payton Jordan Invitational was the 10th best in school history and showed major promise for what's to come. Follow him on Twitter here. 1. Writing About Running: Congrats on the big PR and win in your heat at Payton Jordan. Did the race work out to your plan and did the time surprise you? Austin Mudd: Thanks! I actually talked a little strategy with a teammate before the race and everything went as planned. I wanted to stay towards the front of the pack and then swing outside with 400 to go. I was staring at the clock coming down the last 100 and I was actually pretty surprised when I saw the time, I'll take a 5 second PR any day! 2. Writing About Running: You had an excellent prep career in Indiana running 4:01.83 for the mile and 1:49.25 for the 800. What high school accomplishment were you most proud of and why? Austin Mudd: I was most proud of my state meet senior year. I couldn't have asked for a better day. I was happy enough to break one record, so the second was icing on the cake. We also won the 4x400 relay and it was a really cool experience to share with my teammates; it's definitley something I will never forget! 3. Writing About Running: You joined a historic program for college in Madison. What made you choose to become a Wisconsin Badger? Austin Mudd: I was drawn to UW Madison because the campus is absolutley beautiful! I also think Mick is a great coach and the team dynamic is very comforting. 4. 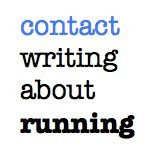 Writing About Running: With Big 10's coming up in less than 2 weeks. Have you and Coach Byrne decided on which event(s) you'll be focusing on there and for the rest of your freshman season? Austin Mudd: I believe I am running the 800 at Big Ten's, but we haven't really discussed plans for the rest of the year. 5. Writing About Running: With all the incredible performances at Payton Jordan Sunday? Aside from your own, what were some of your favorites and how'd it feel to be around so many accomplished runners? Austin Mudd: The atmosphere was awesome and it was great to see so many world class performances! (Lopez) Lomong's 5k was pretty exciting but I have to say that watching team mate Mohamed Ahmed run a 27:34 10,000 to qualify for the Canadian olympic team was pretty sweet. Congrats Mo! Today we have 5 Questions with the 2010 NCAA Steeplechase Champion and 2012 Team USA Member. 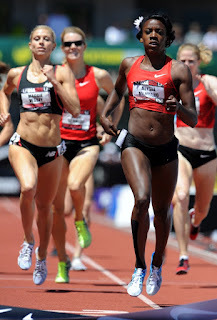 She recently ran her first steeple of the year and was under the Olympic A Standard (and is the current World Leader). Bridget Franek moved from the east coast to the west in 2010 after her All American career at Penn State. Since her NCAA Championship, she's finished second at the 2011 USA Championship and competed at the World Outdoor Championship in Daegu. She'll take aim at an Olympic berth this summer in her current home, Eugene, OR. Follow Bridget on Twitter, check out her blog "Steepling Barriers, Chasing Dreams" and her club profile (where results and race videos are posted). 1. Writing About Running: You had an excellent debut at the Oregon Twilight this weekend, running under the Olympic A-Standard in 9:39.77. How’d the race go in your opinion and were you able to execute the way you wanted? Bridget Franek: I was really happy with my race this weekend. I definitely feel like I have a much faster time in me, but it was a good start. It felt so easy, I had no idea I was cruising so fast until I heard the announcer say the projected time! This part of the season is fun- where we are all getting to see hard work paying off! 2. Writing About Running: You’ve got a history in softball, basketball, volleyball and soccer. Do you think the athleticism that those sports require has helped you excel in the steeple? Bridget Franek: Yes, because I did those sports through high school, I am young in terms of running years, but I definitely believe that I gained strength and body awareness from them. 3. 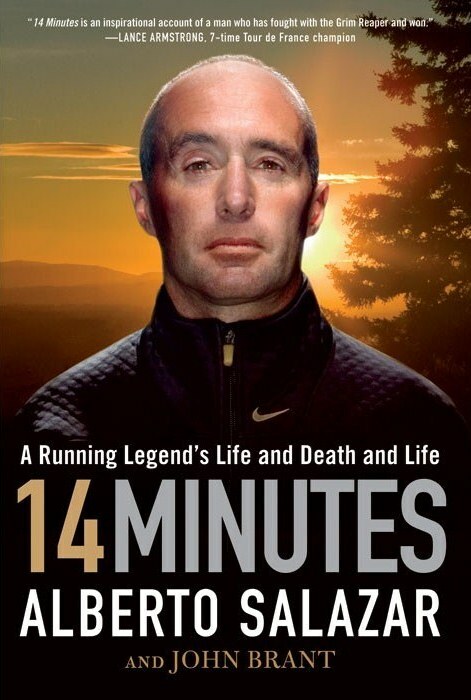 Writing About Running: You’re now a few years into training out in Eugene. How have you enjoyed your time training with the Oregon Track Club Elite so far? Bridget Franek: The Oregon Track Club is something really special. I now see that it would be very difficult to find the amount of support and commitment we receive from the community and our coaching staff anywhere else in the country. Coach Rowland is unlike any Coach I have ever had and operates on a very professional level, pushing us athletes harder than I have ever been asked to go. It has all taken me time to adjust, but I am very confident that once I do, I will be at a very high level and have the best shot of finding my true potential in the sport. My transition has been made easier with all my help from my sponsors- Nike, PowerBar, and SkinCareForAthletes- all of which make training less painful and much more fun! It has also been an incredibly inspirational and beneficial experience to be able to train with some of the best athletes from all over the world. 4. 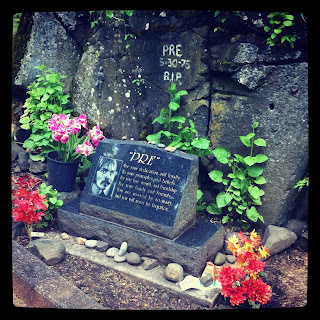 Writing About Running: With many track fans coming out west this summer for Prefontaine and the Olympic Trials. Do you have any “must” recommendations in Eugene for food, coffee, etc? Bridget Franek: I love Eugene for all the great places to get good breakfasts- Glenwood, Studio One, Morning Glory, Keystone, and Original House of Pancakes to name a few! There are some really 'healthy' and creative spots for lunch and dinner as well- Laughing Planet, Holy Cow, and PRI are great if you are willing to try something different! 5. Writing About Running: The trials coming up in about 6 weeks, what else do you have planned between now and then? Bridget Franek: I am hoping to run two more steeplechases- one in Oxidental, CA and then Prefontaine. Coach is happy there are still 6 weeks so that we can get in some more work between now and then too! Yikes!